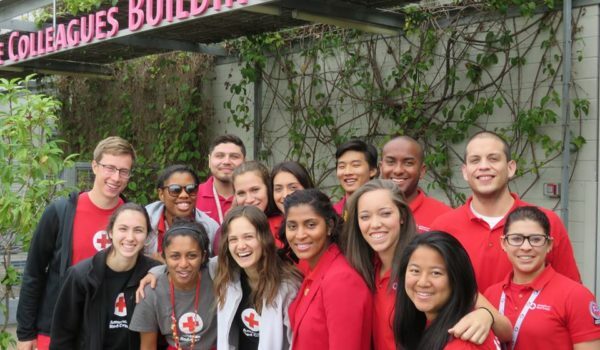 As Program Manager for California Safe Corps for the past five terms, I have many stories about the men and women who serve as AmeriCorps with the American Red Cross. Some warm, some inspiring, some funny, many endearing. As March 12 – 16 is official AmeriCorps Week, a time to celebrate and reflect, the below story is one of my favorites. 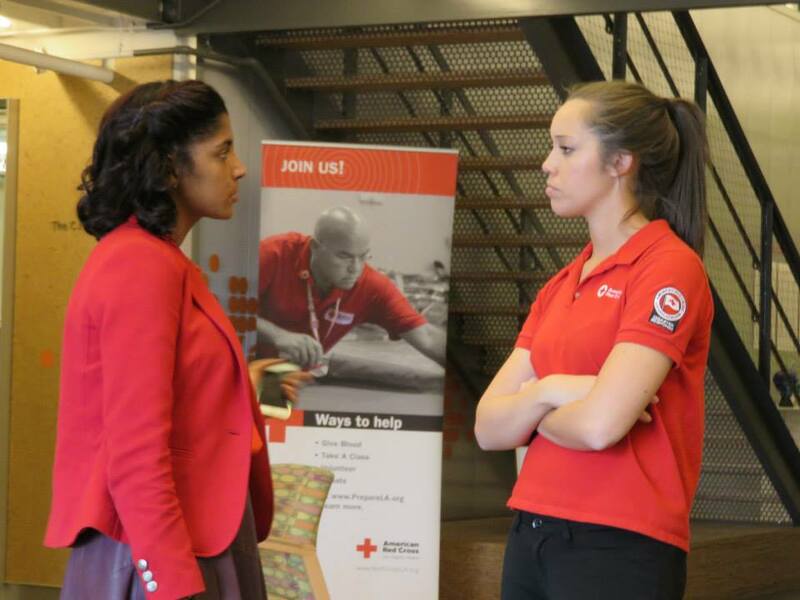 In May 2015, about six weeks before the program year wrapped up, AmeriCorps members Myonoway and Kinsey conceived, planned and executed a special event dubbed “Prepare for Independence.” The event was designed to prepare foster youth not only for emergencies, but for adulthood. 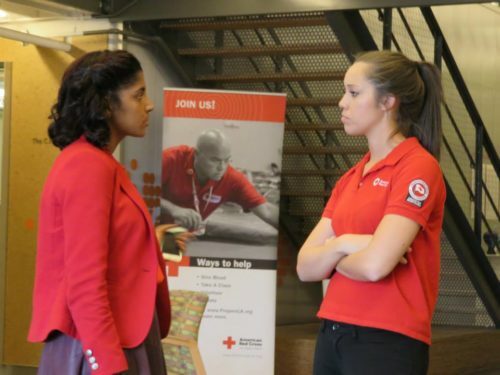 At the event Red Cross AmeriCorps would present our typical preparedness trainings, as well as have a discussion on college applications, plus a representative from Price Waterhouse Coopers (PWC) was present to discuss long-term financial planning. Myonoway and Kinsey had reserved space at the Children’s Institute Community Center in downtown Los Angeles and they received in-kind donations for coffee, breakfast and catered lunch. Both had reached out to different networks to cultivate guest speakers, all of whom were foster children themselves, to address the guests and inspire them about the next phase of their life. There were months of planning. Myonoway and Kinsey spent hours and hours meeting before and after the work day ended, to carry out the event. Many emails were sent and all the pieces fell into place. They led this effort. No one else was in charge but them. In the end, all the stars aligned except for one: turnout. They had received promises from close to a dozen foster homes and centers in and around Los Angeles who said they were bringing their residents to the event. Over 100 teens had registered and pledged to attend, and in the end less than 20 showed up. So, while all the other moving parts such as the food, the guest speakers, the venue and volunteers all came together, unfortunately the efforts went to a very small gathering. But what endeared me most of all about that Saturday, was the number of their AmeriCorps teammates, all of whom had already sacrificed many Saturdays that term, who volunteered to support. Nearly the entire team showed up to make sure their colleagues had a good event. And, when it was clear that the turnout was not going to be what we had hoped, there was no griping about it, no finger-pointing, no side conversations of “Boy, we sure wasted our Saturday.” It was support, cheer and encouragement. The sadness I felt for the poor attendance quickly dissipated as I watched the team be there for each other. I remember that Saturday very fondly, even though on paper it was a failure. AmeriCorps is a special experience. For AmeriCorps Week, let’s reach out and say “Thank you” for all the hard work these fine people do in the name of service.